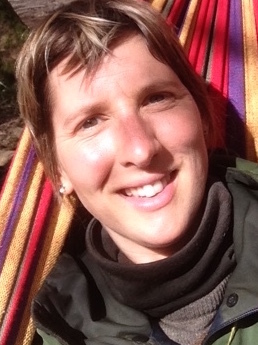 Inspiring leadership… A Touch of the Wild was established in 2005 by Hannah Standen – a qualified Teacher and Forest School leader with vast experience in outdoor learning. A Touch of the Wild aims to inspire a life long love of nature using Forest School principles and offers a unique opportunity to experience the natural world through a variety of activities for kids and adults alike. A wealth of Forest School experience… The staff members who help Hannah run the various A Touch of the Wild activities are qualified Forest School Leaders (or equivalent) and each have a vast knowledge of the local flora and fauna that inhabit the forest, as well as Greenwood work, Bushcraft, wild food and environmental arts and crafts. Their knowledge and enthusiasm feeds into all our work with children, young people and adults. We are always looking for volunteers with childcare experience as well as qualified Forest School staff. If you are interested in working with us send a CV and covering letter to hannah@atouchofthewild.co.uk. Email: We are often out in the woods so the best way to contact us is by email: info@atouchofthewild.co.uk or complete the contact form below and we will be in touch soon. What are you interested in?Wild TotsWoodland Adventure ClubBirthday PartiesEducation GroupsTeam BuildingForest School How did you find us?Search EngineSocial MediaWord Of MouthNewspaper or MagazineOther Please leave this field empty. Phone: Call the office on 07929 613 284 but please note that we are often out in the woods so may not answer immediately. If you’re running late for your event, or have an urgent query outside of office hours please call your event leader directly. Account Login: If you have booked an event, please log in to your account and read the important documents as they may contain the answer to your query. Trouble logging in to your account/can’t find your username or password? Our confirmation email with your username and password may have gone into your junk or trash folder – please check these and then get in touch if you are still having problems. Our secret camp is at Grammarcombe Woods, a beautiful woodland - easy to find, just off the A380, on the Ashcombe Estate Near Exeter. Our camp is just a short level walk from the parking area and offers plenty of free car parking too. From Exeter, follow the M5 west and stay on the road as it becomes the A38. At Telegraph Hill, take the left fork road A380 signed to Torquay. Follow the road for about 3 miles and take the left exit signed Teignmouth (B3192). At roundabout turn left signed Ashcombe, follow the road around the bend, in about 500 yards you will see A Touch of the Wild signs at the double gateway on your left. Your Forest School leader will meet you in the car park. From Newton Abbot/Torquay, on the A380 towards Exeter, take signs for Ashcombe, Chudleigh. Down slip road take signs for B3192. Go over bridge across dual carriageway. At roundabout go straight over, towards Ashcombe. Follow the road around the bend and in about 500 yards you will see A Touch of the Wild signs at the double gateway on your left. Your Forest School leader will meet you in the car park. A Touch of the Wild prides itself on the high quality and safety of all the services it offers. All sites used by A Touch of the Wild are fully risk assessed, as are all activities. A Touch of the Wild leaders are Outdoor First Aid qualified and always carry a First Aid kit. All staff are DBS checked, and qualified in managing groups and activities in the outdoors. Owner of A Touch of the Wild and qualified teacher Hannah has been inspiring groups in the outdoors since 2005. As a Level 3 Forest School leader Hannah works with all groups from toddler groups to Team building events. Qualified Forest School leader Dan has worked outdoors with children and young people for many years, with a fun approachable nature Dan & his companion Sylvan Bear lead Birthday Parties, Woodland Adventure club and Family Adventure Club. Eve is a qualified Level 3 Forest School leader and Adult Education tutor. She has a wealth of experience running Arts projects, Nature Based learning experiences, Parents and Toddler groups and playwork projects and is very excited to bring this experience to A Touch of the Wild. Eve will be leading Wild Tots, Education Group visits and Birthday Parties. Neil joined the team raring to go with his Forest School leader & Adult teaching qualification, he has a vast experience of delivering outdoors activities in the woods to groups of all ages and abilities. Neil can be found leading Birthday Parties and Education Groups. A highly experienced Bushcraft instructor John has spent over 10 years working outdoors with children and adults. He has an NVQ in Caring for Young People and leads all activities from birthday parties, to team building events. Beccy has been involved in outdoor education for the past 18 years, qualified as a teacher and working with special needs, currently working as a childminder and forest school practitioner with Wild Tots and family days. She is enthusiastic and creative and is always coming up with new ideas and activities to enjoy in the woods.